FOOT STEPPING JOE IN UNITED STATES! Not content with foot stepping the life of Joe Stirling in Germany, Holland and the UK, during our recent holiday to California my husband and I made a point of visiting two spots that feature in my forthcoming biography Escaping Hitler. Whilst in Las Vegas we took a bus to the historical end of the city where it all began and to where Joe took a group of UK Lions to their first International Convention in 1971. 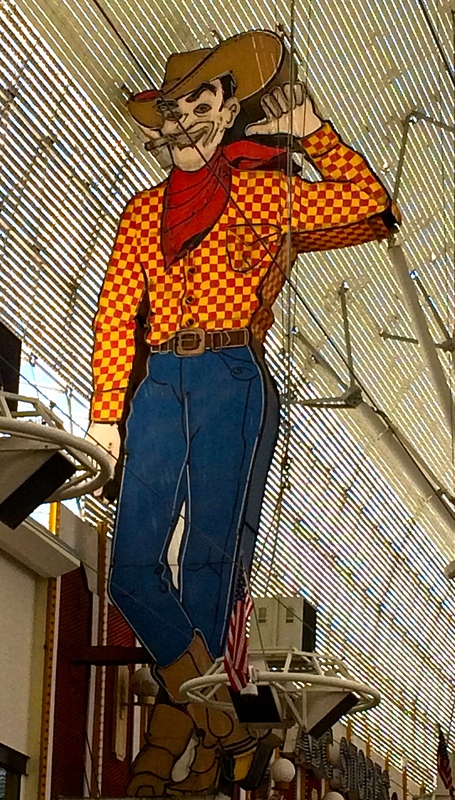 The city has now placed a roof over Fremont Street and turned it into a retrospective tourist destination but the original icons such as the huge cowboy sign and the Golden Nugget Casino are still there. A week later we went to San Francisco, our hotel being on Market Street, the very street where the Lions Parade of 1984 marched in celebration of the first UK International President Bert Mason. 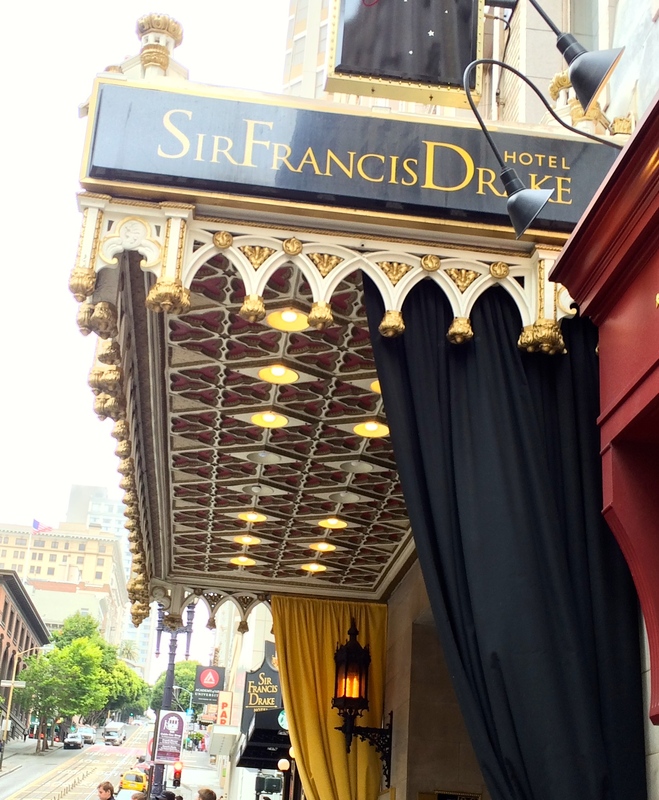 We sought out the prestigious Sir Francis Drake Hotel in the heart of the city, where Joe booked a penthouse suite for his daughter Jane and secretary Anne, along with their husbands in order that they could use the facilities as an office during that enormous convention. 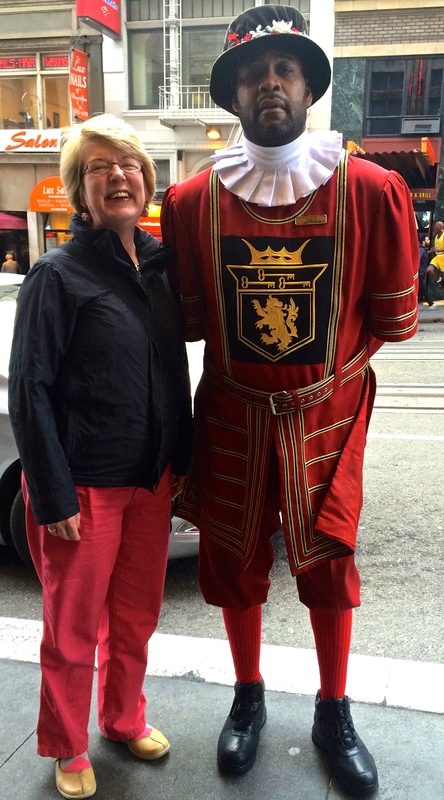 We met with the doorman who still continues the hotel tradition of dressing like a London Beefeater! These stories are covered in detail in the book to be published by Pen and Sword Books in January 2016. Please visit my Facebook page and ‘Like’ the page if you would like to be kept informed of events surrounding the publication.